One type of book that appeals to me may be surprising based upon my other likes and dislikes are books set in England. This could be 1800s, 1900s, or present day. Does not matter. Give me a book where they will have tea and cute (to me) sayings and I’m on it. A less surprising book that appeals to me are books that have strong female characters. One of the biggest ways to turn me off from a book is to have weak female characters. No thank you. 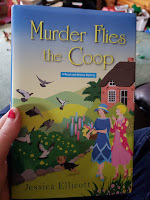 Murder Flies the Coop by Jessica Ellicott checks both of those above boxes. Set in a small 1920s English village and has two strong female main characters, Beryl and Edwina. 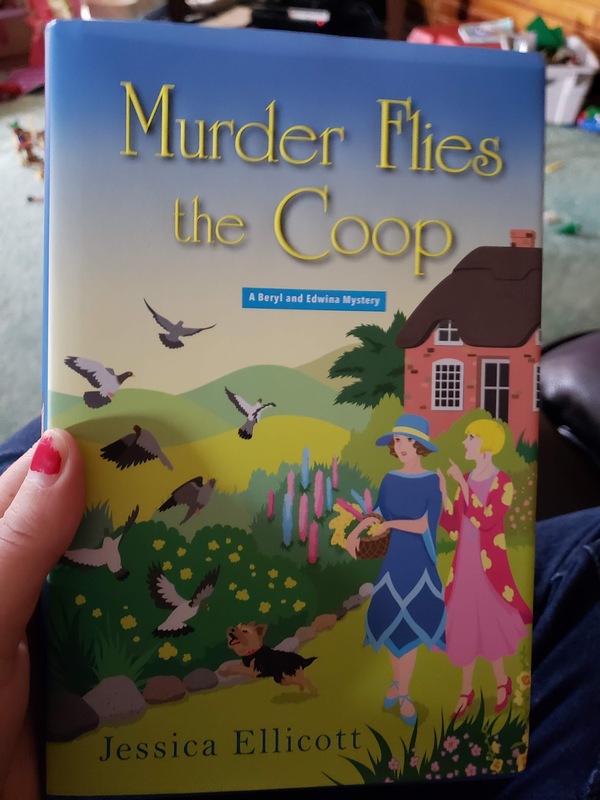 Murder Flies the Coop is the second book in a series (another love of mine) but the first does not need to be read to enjoy this cozy book. Edwina and Beryl are referred to as older women, but not so old that Edwina couldn’t possibly have a child someday. In my mind in the 1920s that could be anywhere from 25-45! Also, actual ages may have been shared in Book 1 but it was something that interested me as in the past anyone over 22 could have been deemed ‘older’. 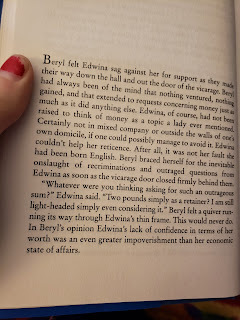 The women are living in Edwina’s family home and money is a bit tight. Edwina has sold off most of everything worth selling and is getting worried about money. 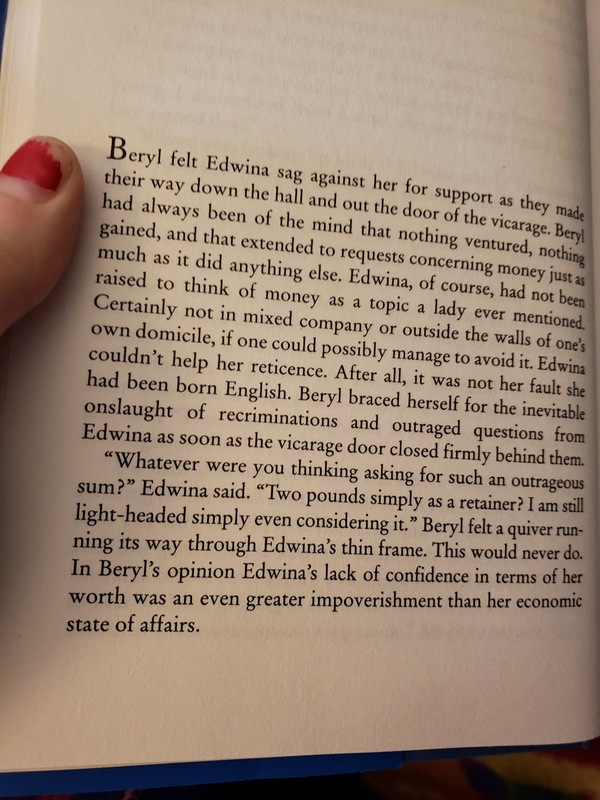 At the beginning of the book they reference how the ladies solved a murder a few months prior and Beryl thinks they should open their own private inquiry business. These two are opposites and a very good fit for each other. Edwina is conservative and still takes time to think of what is proper and then goes ahead and does what she wants anyway. Beryl, who has multiple ex-husbands really doesn’t give a fig what anyone thinks and jumps first so to speak. There are quite a few funny bits in this book and the town characters all have distinct descriptions to keep them separate. All of this is to say if you enjoy cozy English books with strong female leads this book is for you! A perfect fall book to cozy up with under blankets! Description: One would hardly call them birds of a feather, but thrill-seeking American adventuress Beryl Helliwell and quietly reserved Brit Edwina Davenport do one thing very well together--solve murders . . . So when the local vicar--and pigeon-racing club president--approaches them with a private inquiry opportunity, the ladies eagerly accept. There's been a spot of bother: the treasurer has absconded with the club's funds and several prized birds. Beryl and Edwina hope to flush out the missing man by checking his boardinghouse and place of employment at the coal mine. But when they visit the man's loft, they find their elusive quarry lying in white feathers and a pool of crimson blood, stabbed to death--the only witnesses cooing mournfully. What is your favorite book set in England? I received this book for review, all thoughts and opinions are my own!